This blog post is about a game-changer that every school leader who uses social media should know about. If you are a school leader, keep reading, and use the ideas in this post. If you're not a school leader, keep reading and share this post with your school leader. AND, offer to help. 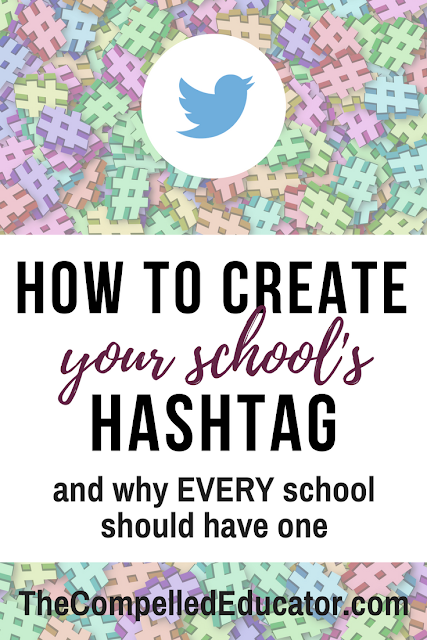 In my digital workbook, Telling your School's Story on Twitter, I go into detail about creating a school hashtag along with other ideas for how and when to tweet, ideas for creating graphics, along with connecting the school with the community. Not having and using a school hashtag is a missed opportunity. It's something I notice when I'm connecting on twitter... I see a tweet about an event in a school somewhere, a celebration of students or staff... and there's no hashtag. Not using a school hashtag is a missed opportunity for connection. School hashtags allow stakeholders to “find” tweets about your school by doing a search for your hashtag. They can click on the hashtag in the tweet and see all of the tweets containing that specific hashtag. Imagine what it would be like if parents, teachers, students, alumni, and other stakeholders all used the same hashtag when tweeting about the awesome things happening in a school. It's a powerful way to get a "big picture" about a school as well as keep parents informed about successes within the school that may not make it to the newspaper... things like a friendly librarian who makes kids want to visit the library and check out a book, a lunchroom worker who serves the kids and knows everyone by name, a lesson in class that results in excellent problem-solving practice.... I'm sure you can think of many more examples! 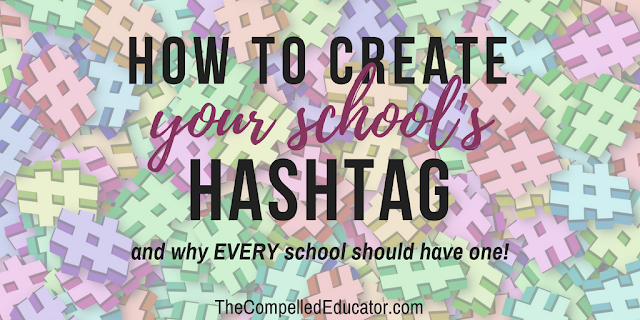 There's no "rule" about what you can use or not use for a school hashtag. Keep it pretty short in length, because the characters in the hashtag take up some of the characters you can put in your tweet. Examples include #(schoolname)pride, #go(mascot), or #(schoolinitials)(mascot). This would look like #hixsonpride, #gospartans, #LHSCowboys. 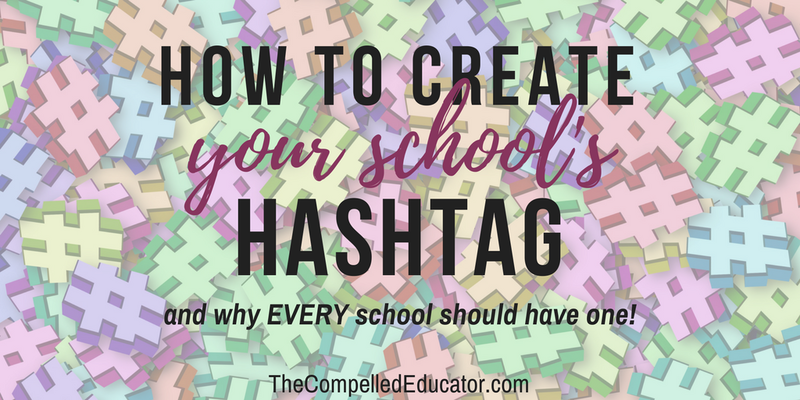 For other ideas, check out different school leaders to see what kind of hashtag they use to promote their schools. Before deciding on what you will claim as your school hashtag, check to make sure it's not already being used. You can do a search on twitter with the potential hashtag, and if it's not being used or was used only a few times a few years ago, GO FOR IT! Do you use this simple, yet effective, method of telling your school's story on twitter? I would love for you to share this post and tag it with YOUR school's hashtag!